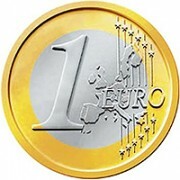 The crisis in the eurozone is critically important for Asia. 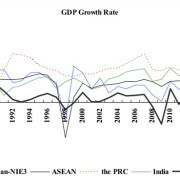 At a distinguished speaker seminar at ADBI on 1 December 2011, three eminent European economists examined the crisis and put forward tentative solutions. In a post based on the seminar transcripts, one of the speakers, Charles Wyplosz, identifies some of the mistakes that have been made in the response to the crisis and puts forward three scenarios for its resolution. 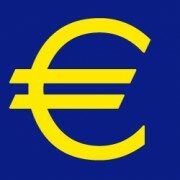 Since late 2009 the European debt crisis has worsened because of the wrong policy responses by European politicians. Some progress has been made but we are not yet there. We have a historic disaster with global implications on the way and unless a miracle happens I am pretty pessimistic about the future. The movement of workers within the ASEAN region has been on the rise over the last two decades. In Malaysia, for example, the number of foreign workers grew from less than 250,000 in 1990 to more than 2 million in 2007, about 67% of whom come from ASEAN countries. Singapore, Brunei Darussalam and Thailand have become major labor recipients, while the other ASEAN countries are labor senders (Figure 1). 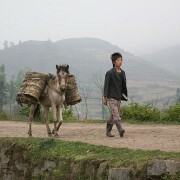 However, the ease of labor flows within ASEAN is not matched by the portability of migrants’ social security benefits. 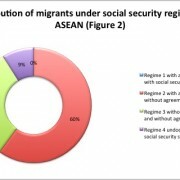 Some hosting countries have nationality conditions or minimum residency requirements that prevent migrants from participating in social security schemes. On 11 December 2011 the People’s Republic of China (PRC) marked the 10th anniversary of its entry into the World Trade Organization. The PRC’s trade statistics over the past decade have been impressive: despite the fragile global recovery, its exports surged 31% to reach $1.6 trillion in 2010, more than six times the value in 2000. For the first time, the PRC overtook Germany to become the world’s largest exporter. 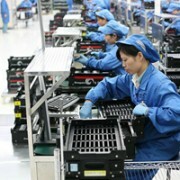 The PRC’s high-tech exports were valued at $490 billion and accounted for 31% of its total exports in 2010. A report from European Commission in 2009 concluded that the PRC had surpassed the United States, Japan and the 27 states of the European Union to emerge as the world’s largest high-tech exporter. According to statistics from the US Department of Commerce, in 2010 the PRC even ran a $94 billion surplus in advanced technology products to the US, an undisputed world leader in technology innovation. Today, ordinary people in villages and towns in many parts of Asia enjoy more freedom, choice and power than ever before. This is in large part due to the expansion of markets and elections to encompass growing numbers of consumers and citizens, along with the devolution of state power into local hands. Against this backdrop, considerable interest has focused on the role of “local elites” in Asia: “bosses and dynasties” in the Philippines, “goondas” in India, “village emperors and local mandarins” in Viet Nam and PRC. By maintaining monopolistic, authoritarian control over markets, state resources and votes, these local elites are seen to be blocking the emancipatory effects of globalization, democracy and decentralization. The PRC needs to redirect money away from increasing its external reserves and toward spending on education, health care, and affordable housing to improve the well-being of its citizens. The PRC would benefit greatly from an exchange rate regime characterized by a multiple-currency, basket-based reference rate, and a reasonably wide band. Greater exchange rate flexibility would allow more decoupling between PRC and US interest rates, helping the People’s Bank of China (PBOC) to implement monetary policy that is best for the nation. The PRC’s exchange rate interventions to sustain the export-oriented thrust of the economy are not helpful to the nation for several reasons. Austrian economist Joseph Schumpeter argued that the “process of creative destruction,” whereby new industries are created by destroying the old combinations and creating new ones, is essential to drive growth. Japan’s electric power industry finds itself at such an evolutionary crossroads.The Fukushima nuclear disaster offers Japan a chance to pull the plug on the nation’s power monopolies and put in place an energy industry that would be more efficient, innovative, environmentally friendly, and safer. Tokyo Electric Power Company (TEPCO), which owns the Fukushima power plants, is a typical Japanese power monopoly. 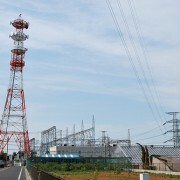 It supplies electricity to the Tokyo metropolitan area and can flex enormous market muscle as an integrated regional monopoly in the supply of electric power.